2-storey, square-plan, symmetrical, Art Nouveau chapel, plan changing to Greek cross in upper level with 3-bay open round-arched loggia extending to NE corner and single arch to small court SW punctuated by small paired rectangular windows. Diocletian windows over 3 single lights to projecting 1st floor bays, small domes in re-entrant angles with narrow round arched niches over; modillion cornice between raised angle piers. Central dome supporting a winged figure on circular pedestal flanked by 4 urns. Deep dentilled cornices. 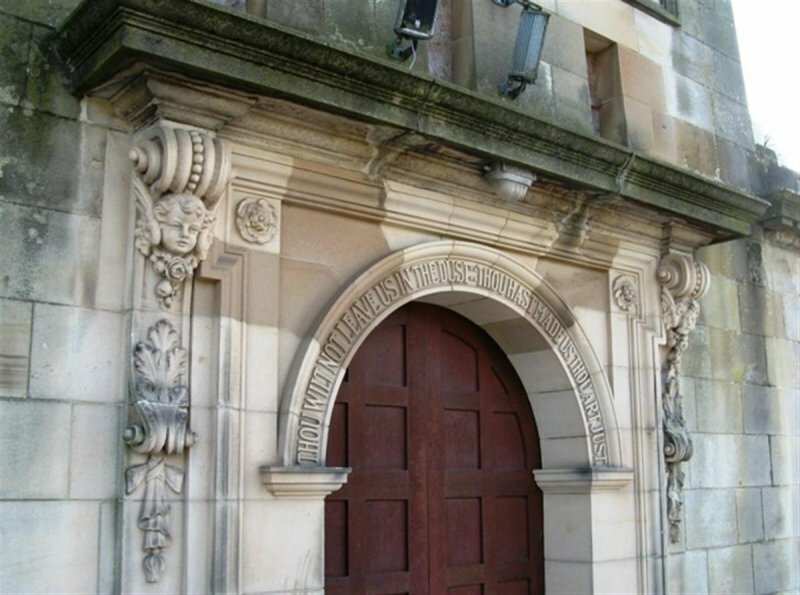 Inscription pedimented arched entrance doorpiece on cherub headed brackets reads 'though will not leave us in the dust, thou hast made us, thou art just'. Decorative stained glass panels to large round arched windows. Small-pane windows to plain windows. Copper roofing to small domes, metal roofing to main dome. Cast-iron rainwater goods. The Chapel is an impressive design of the early 20th century presenting aspects of the Art Nouveau style, but particularly evoking the work of the Viennese Secessionists. A strong, symmetrical composition, with a good sense of proportion, incorporating fine stone detailing and architectural sculpture, including fine depiction of winged figure to building´s apex. Fine use of sandstone ashlar to exterior with fine marble, stone and stained glass finishes to interior. 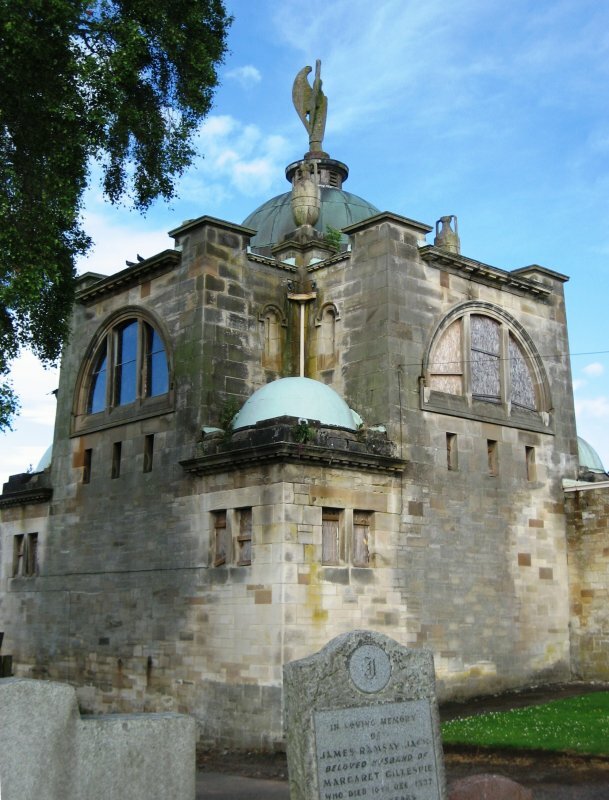 The building has an interesting plan form, square at ground with small domes at each angle, rising to Greek cross at clerestory level with prominent Diocletian memorial stained glass windows further defining the space. 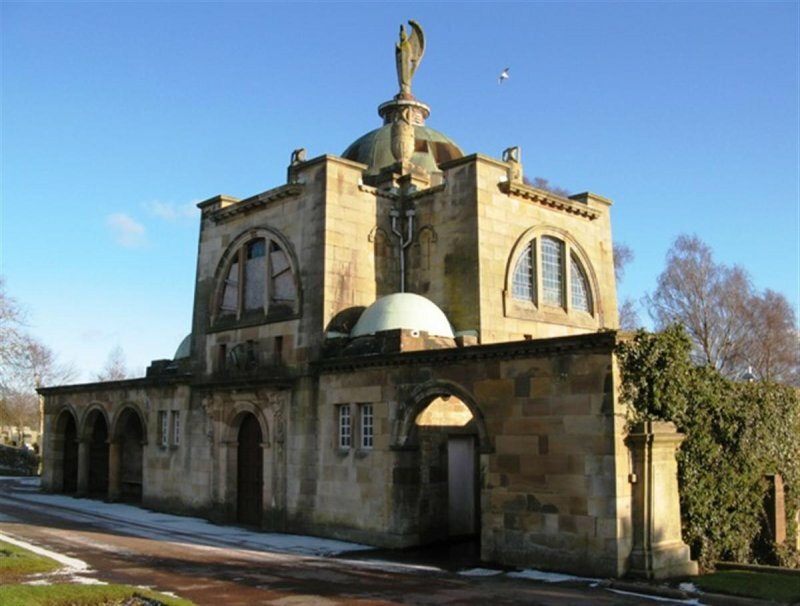 This is a very unusual building type in Scotland, only a few other cemetery chapels are known, the Vicarsford Chapel in Leuchars and the Mortuary Chapel in the Western Cemetery in Arbroath. 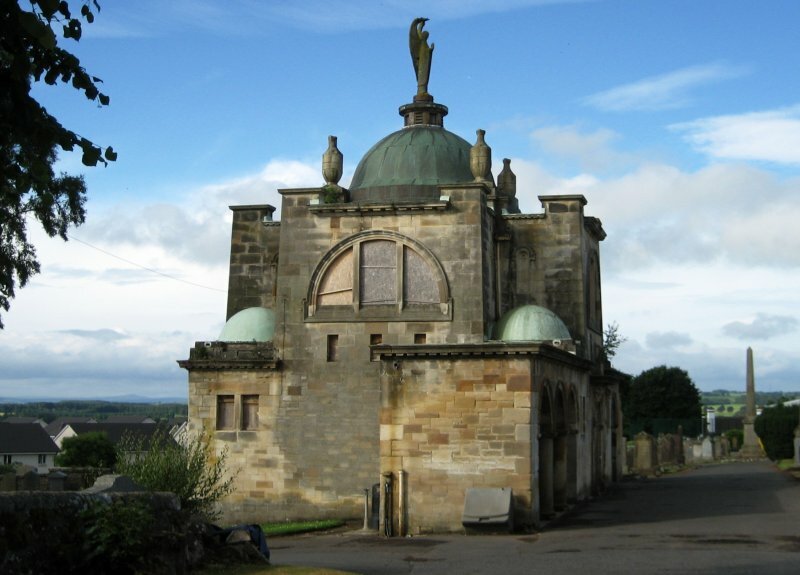 Comparative building types are 18th and 19th century burial vaults and crematoria which become prevalent from the 1930s onwards. September 2008: External inspection suggests that the building is unused with many of the windows boarded up. Some of the unboarded windows contain broken panes. The central copper dome has been patched up using a different material. There are no obvious signs of recent maintenance. 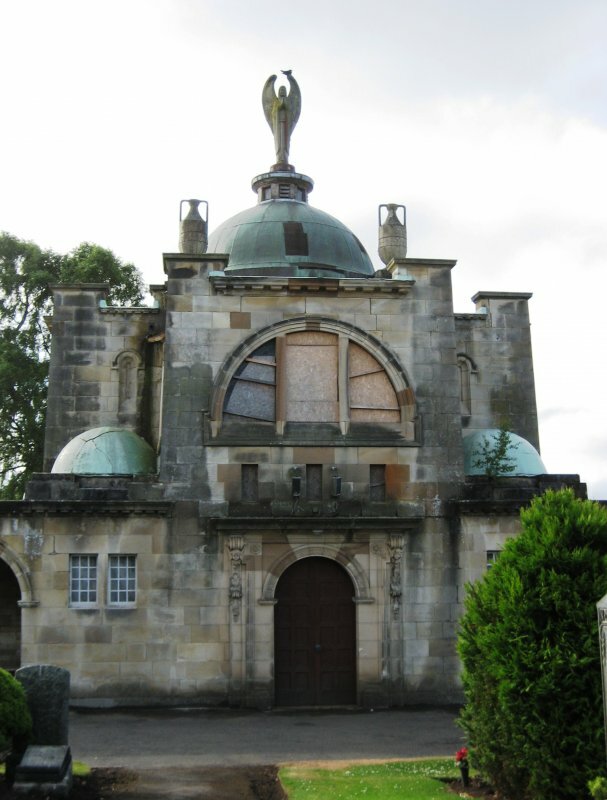 February 2010: External inspection finds the chapel remains vacant and suffering from a lack of maintenance. The Carluke Gazette reports on a special meeting being held to discuss the future of the Chapel. 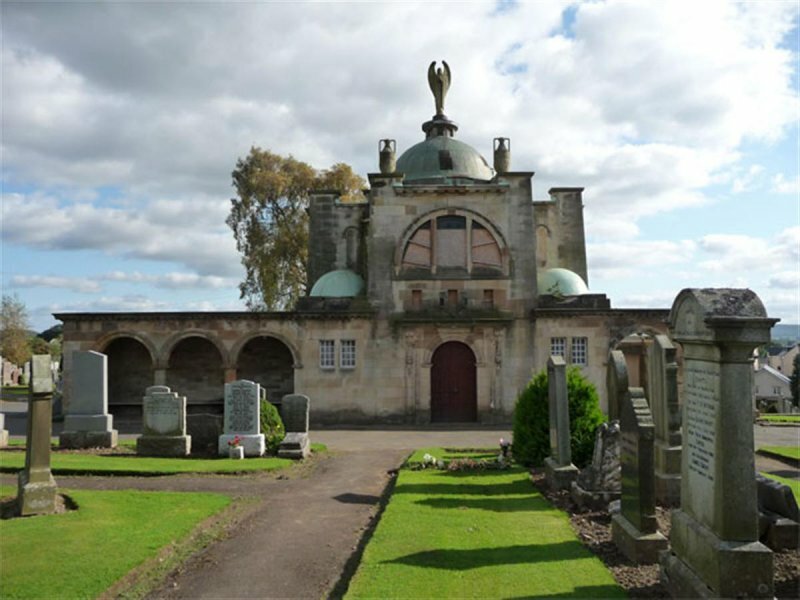 South Lanarkshire Council are reported to have been seeking a funding package to enable the repair and reuse of the building. To date, funds of approx a third of the total required have been achieved. The bulk of the funding (dependent on the gathering of other funds) is from Historic Scotland. The article notes the building was originally closed 4 years ago, following the discovery of a leaking roof. June 2010: The building is upgraded from category C(s) to A by Historic Scotland. 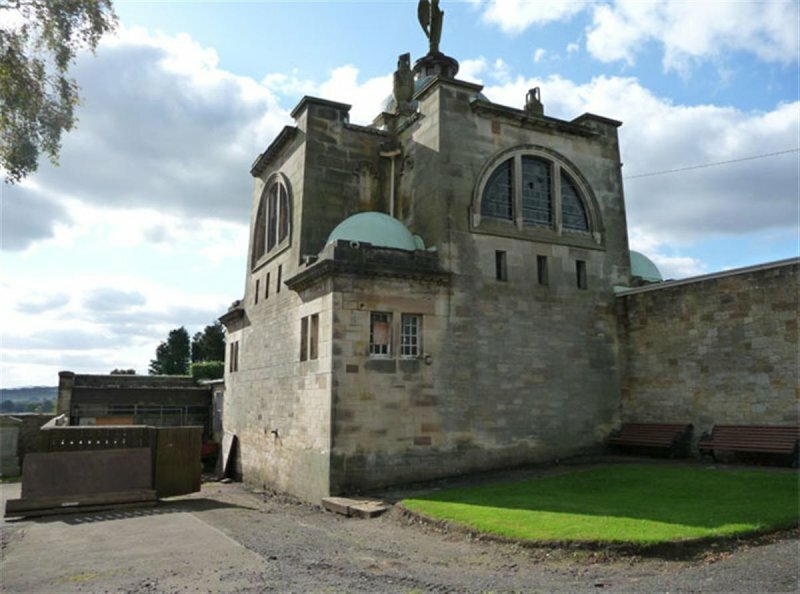 July 2010: Carluke Gazette reports a grant of £50,000 towards refurbishment of the chapel is being offered by the Blacklaw Renewable Energy Fund. Total refurbishment is reported to be costed at £225,000. The grant is one of three from REF, set up in 2004 by South Lanarkshire Council, funded by ScottishPower Renewables. December 2010: Lanark Gazette reports the repairs costs (of £225,000) has now been raised and it is hoped works can commence in early 2011. 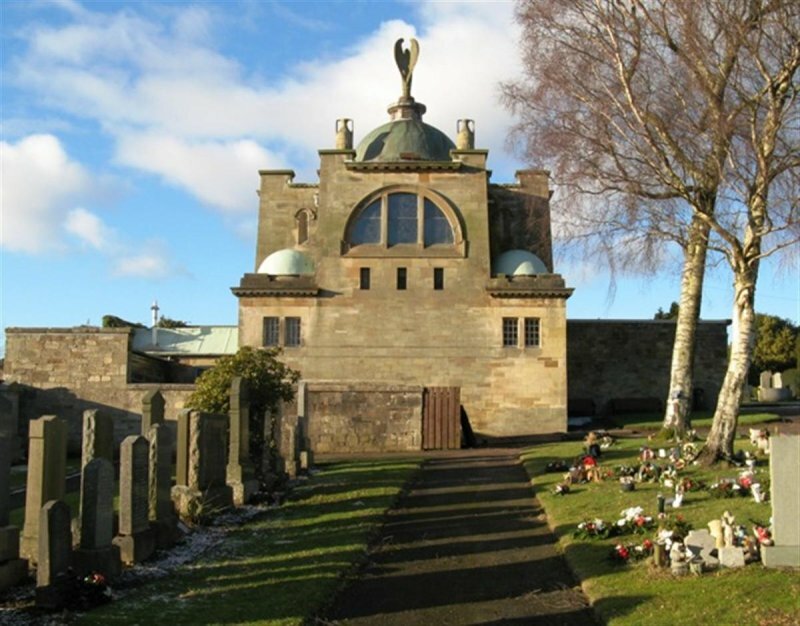 The article goes on to note whilst the main chapel will return to its previous use, the surrounding burial ground is estimated to have 2 years burial spaces left, at which point an alternative use may have to be found. 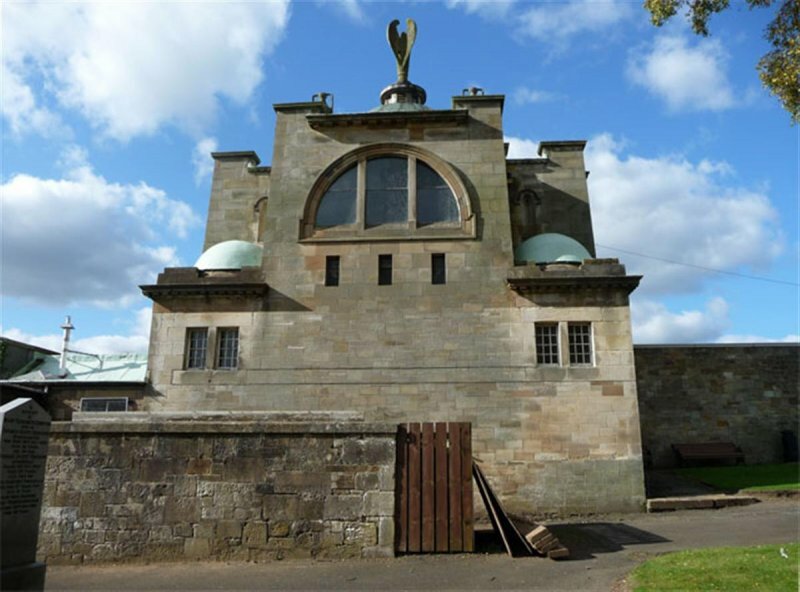 A project to use part of the building, currently used as storage space, as a family history research centre, is being undertaken by Lanark Grammar School. 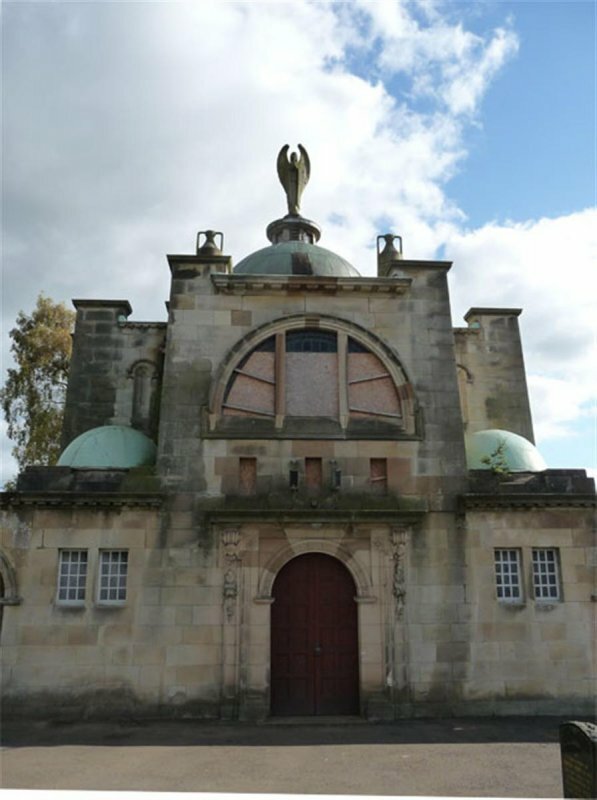 28 March 2013: The Carluke Gazette reported in Nov 2012 on delays to the commencement of the repairs to the chapel. 7 August 2013: External inspection finds no signficant change from the previous site visit.